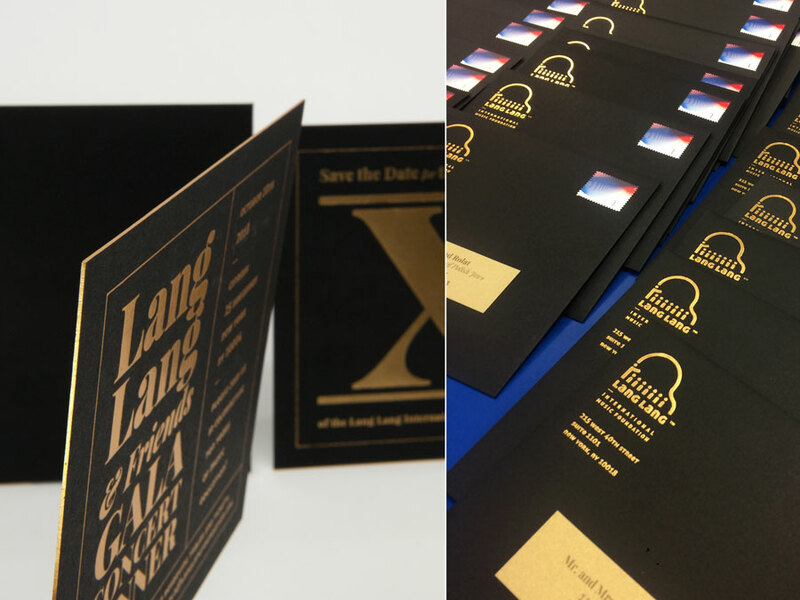 These save the dates were foil stamped with antique Gold foil on Colorplan Ebony Black 130# Cover and then duplexed up to a hefty 260# Cover. 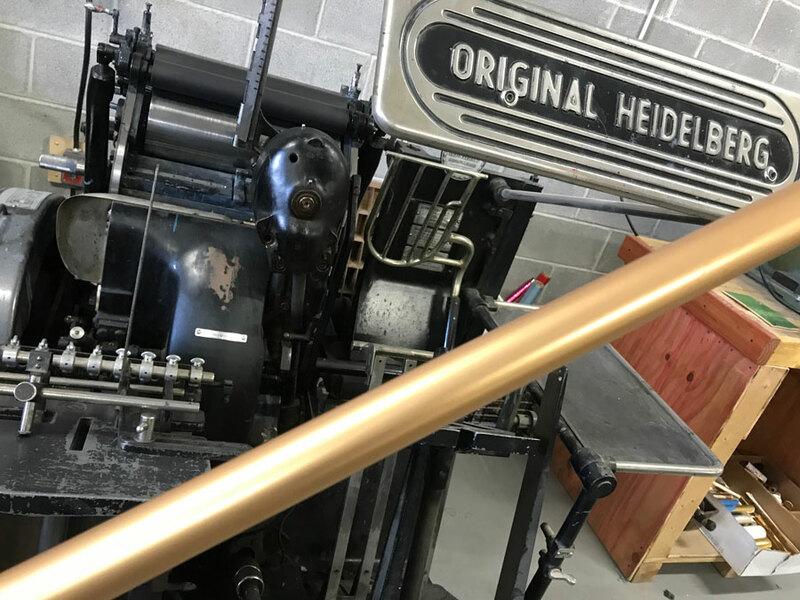 They were then cut down to size and edge gilded with the same Antique Gold foil we used for the foil stamping. 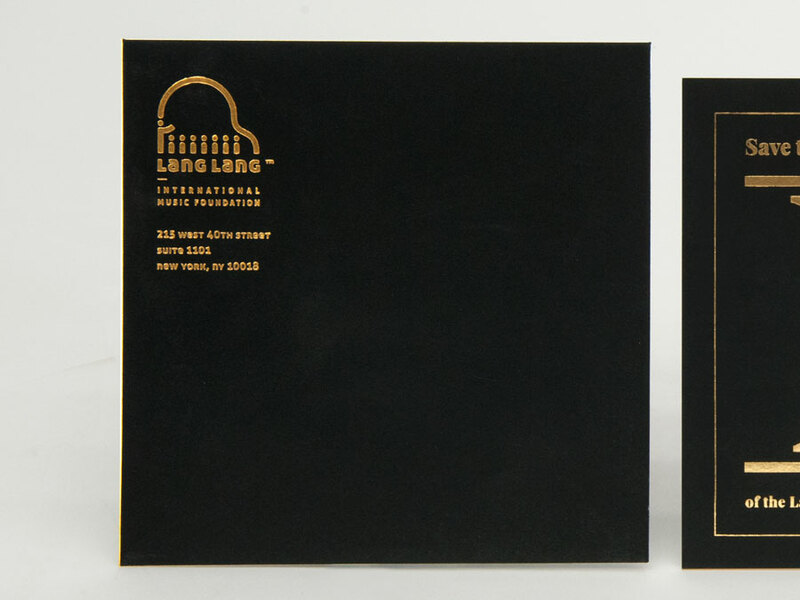 The 6.5″ x 6.5″ Euroflap Envelopes were custom converted from Colorplan Ebony Black 91# Text and foil stamped with the Foundation’s return address in antique gold foil. Check out the slideshow below for some images of the production process, as well as the finished product. Keep an eye out for more posts about the invitations, as well as the custom gift boxes we made for this event! The colors being used for the event were to be exclusively black and gold, and we wanted these save the dates to be a bold announcement of big things to come. 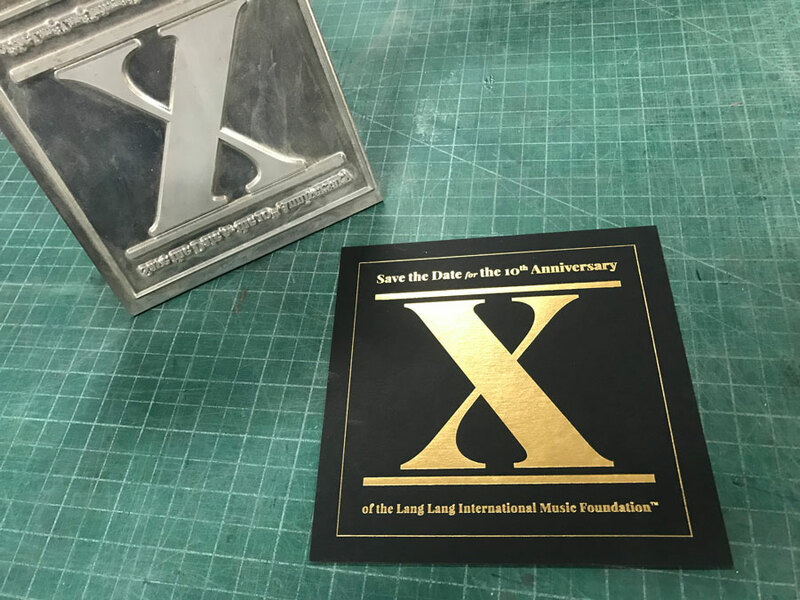 We decided to go with an antique gold foil for the printing, and Colorplan Ebony Black paper stock for both the save the dates and the envelopes. 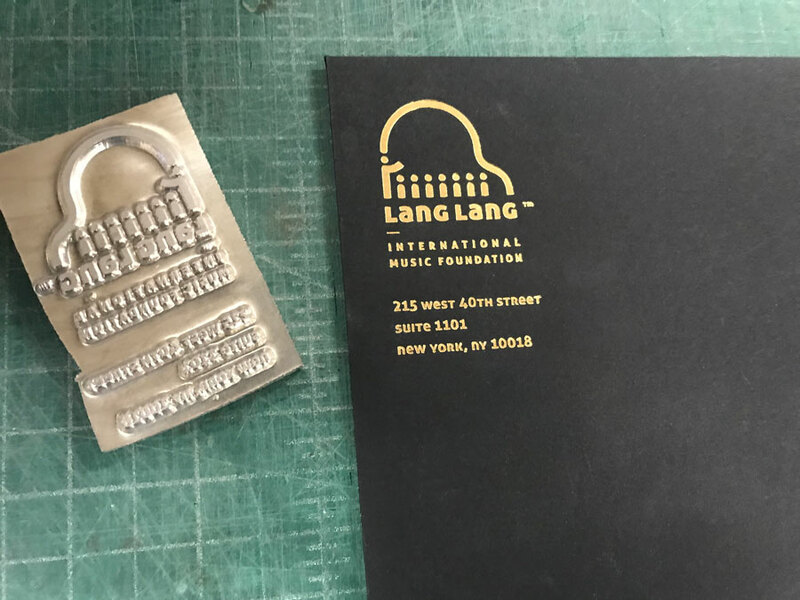 At the beginning of the Summer of 2018, we began what has since become an amazing partnership with The Lang Lang International Music Foundation. 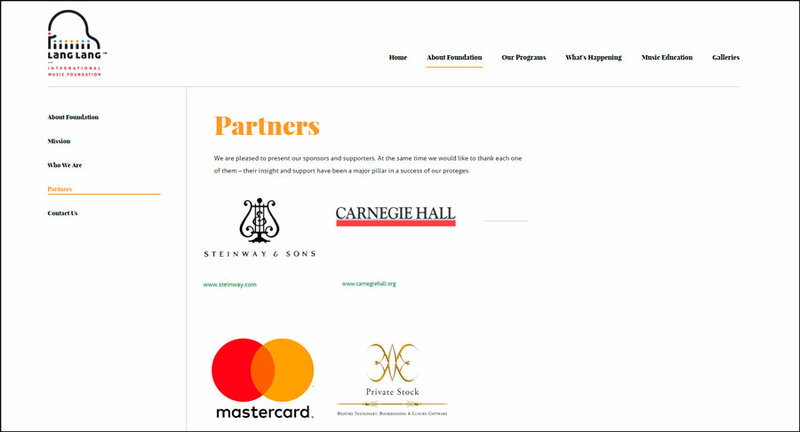 We are honored to be in such amazing company with the sponsors below, all contributing to a good cause. Click the link below to see all of the other sponsors involved in this project. Their organization began in 2008, and 2018 marks 10 years of progress and achievements, and their semi-annual Gala at Cipriani Wall Street was coming up in October. CEO Leszek Lukas Barwinski-Brown, who has become a friend and ally of ours, came to us with some big ideas for his save the dates, invitations and all of the printed material for the event, but he needed help figuring out how to bring his ideas to life. Comment on this post to let us know what you think! 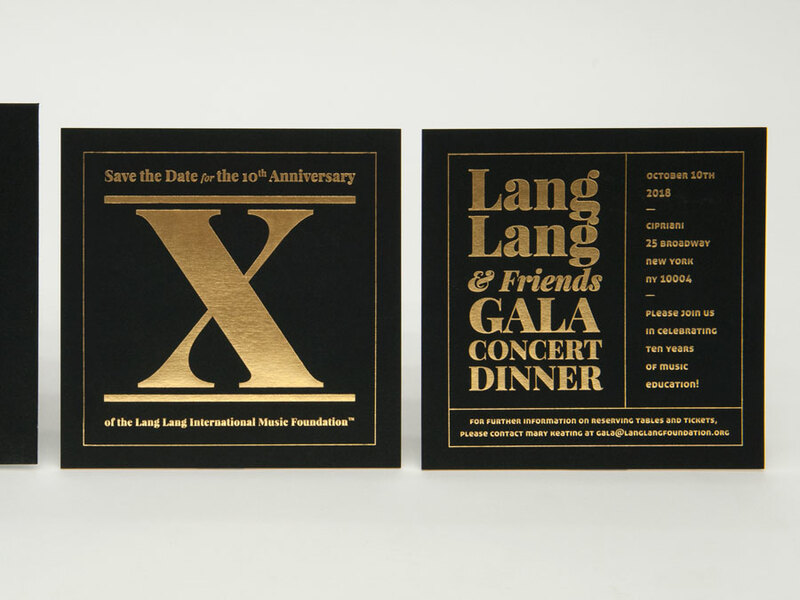 Lang Lang 10th Anniversary Gala Dinner Concert Giveaway Contest!